This post is part of my Local Foods Week series. Local Foods Week is an 9-day celebration of the fantastic experience that is locally-focused eating in Columbus, Ohio. A couple weekends ago, Chad and I took a trip to the Bellefontaine area to tour the Piatt Castles. 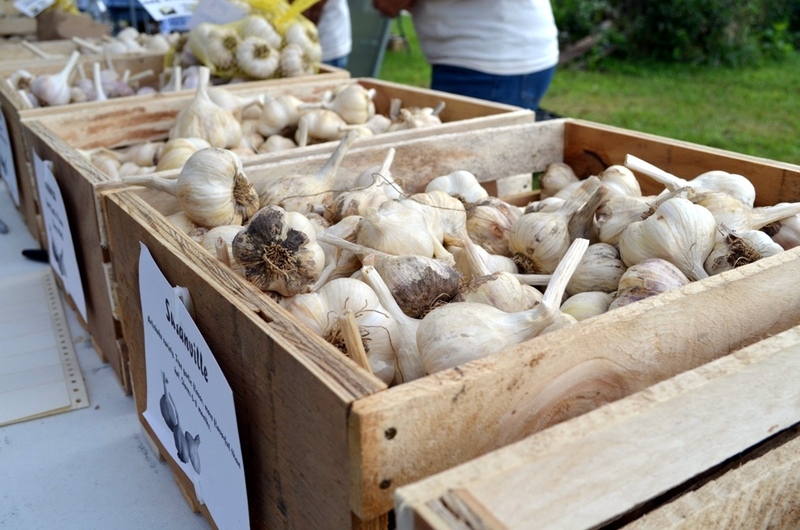 While we were there, we stopped by the Jandy’s Farm to check out their annual Garlic Festival. I had learned about the festival and a lot of really great background information on Jandy’s–including their Columbus connection–from Edible Columbus. You’ll find it on page 12 of the summer 2012 edition. The festival was really small by my standards and that made it all the more charming & welcoming. There were self-guided tours of part of the farm, a few musicians taking turns at entertaining the crowd & several vendors marketing their goods to willing customers. We bought some focaccia from a baker who grows & grinds her own grain. Room temperature it was dry & not so great but when toasted back at home it was quite a treat! We also bought three heads each of two different varieties of garlic from the farm. The Asian Tempest variety gave a wonderful aroma to the leg of Ohio lamb we made last week and the Chesnok Red provided the perfect boost to a rosemary-lemon-garlic compound butter. It’s going to be hard to keep from using that butter up quickly! 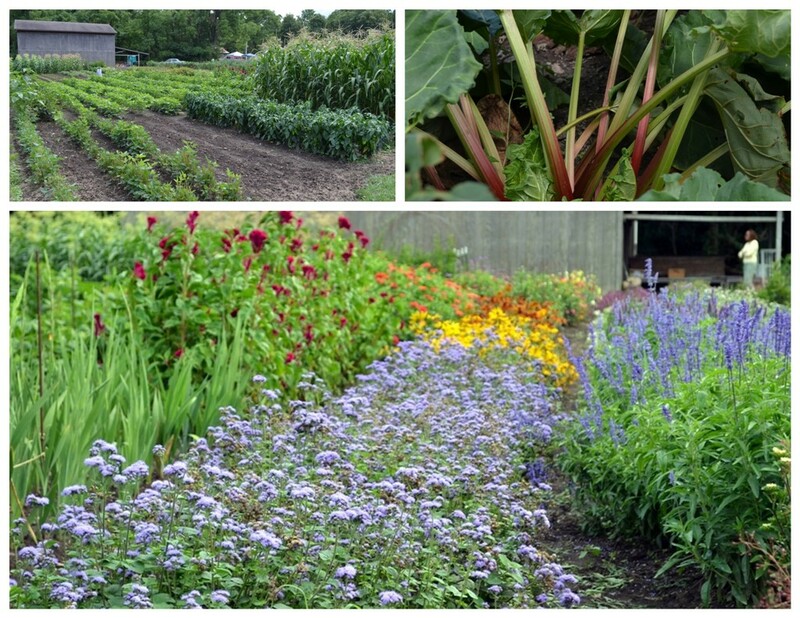 In addition to garlic, Jandy’s grows a number of vegetables and flowers they sell at area markets. Touring the farm was quite a bit of fun. 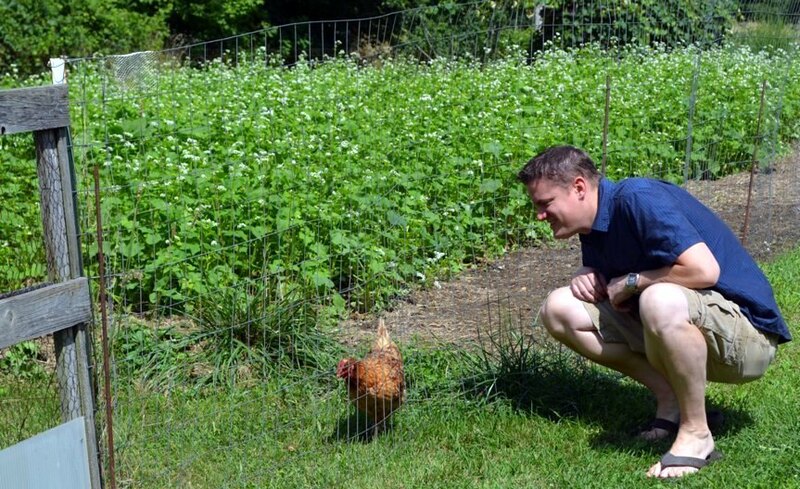 Chad couldn’t get enough of the chickens. Maybe some day, we’ll agree on getting a few of our own. Previous Post Skillet Rustic. Urban. Food. We have a Garlic Festival here in the Mohawk valley, NY. i would love to go to another Garlic Festival, and see a new side of it!